Kilt up if you wanna, or just come as you are. 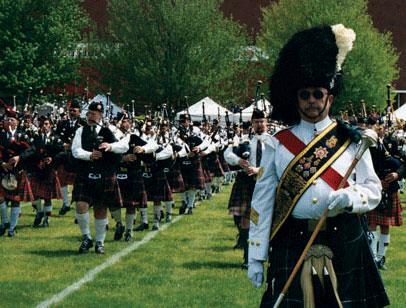 Either way, come the end of summer and beginning of fall in Edinboro, everyone can turn a little (or a little more) Scottish for a good coupla days – if you go, that is, to the Highland Games at Edinboro University. Along with all that Scottish heritage and fanfare, this year's Games also features the U.S. National Scottish Fiddle Championships.